Valerie Chase: New Goals for the New Year! 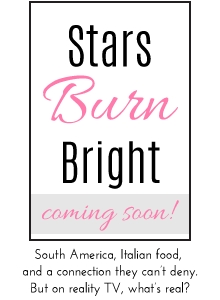 Oof, I didn't mean to take such a long blog hiatus! Now that 2014 has arrived, I've been thinking a lot about new year's goals, especially goals concerning my career. 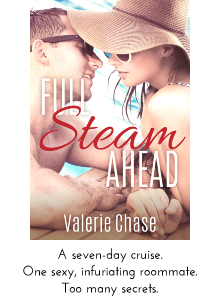 Unbelievably, my debut Full Steam Ahead launches in twelve short days! Meep! The date has definitely snuck up on me, and I can't believe that I'll have a book out there in the world. Will people like it? Hate it? Will anyone even read it? Gosh, I sure hope so! 1. Publish at least three books in 2014. 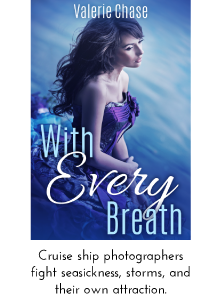 FSA is the first book in the Sea Swept series, which are all set aboard a luxury cruise liner and which feature characters who are all introduced in Full Steam Ahead. 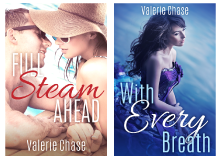 My plan is to write three books in the series although I'd be happy to extend it to five if I find a readership for it. But for now, I'll focus on these first three titles and get them out into the world in 2014! One day I would absolutely love to make my living as a full-time writer but for now I'm simply hoping to break even. By mid-April, three months after FSA's launch, I'd love to say that I recouped the costs that I put into the book (like buying the stock image, paying for tours, etc.) and maybe I'll even make enough to cover the costs for Book 2. Or treat myself to a nice dinner. Fingers crossed! 3. Get a fan letter. Now this—this!—would definitely be a dream come true. And it'd be even better if said letter didn't come from my mom. Haha. Anyway, while it would be great to make a real living as a writer, the reason I started writing in the first place is to share my stories with readers—stories that they will hopefully enjoy and maybe even love! So if I get a fan letter or email sometime this year, I will be one happy and giddy and tear-filled girl. So those are my modest goals for 2014! Here's to hoping that I'll be able to see them come true as this new year unfolds! But if not...there's always 2015, right? Haha. Enough about me though! What are some of your goals, both professional and person, for this year? These are awesome goals! I wish you the best of luck in reaching all of them this year!